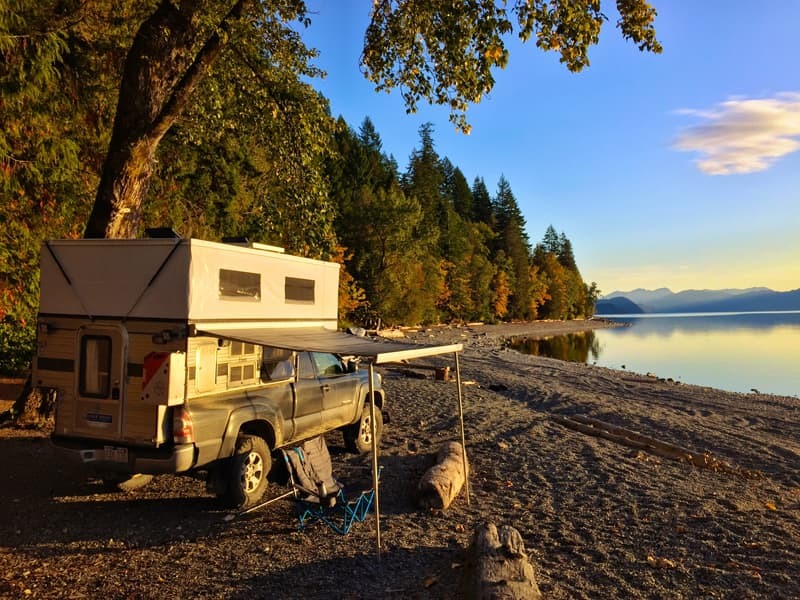 After a chance encounter in a grocery store, Andrea Kelsey and Jeremy Lach set out on a full-time, cross-country, off-grid truck camping quest. What they seek, and how they’re getting there is the real story. If you went back in time and talked to yourself in your 20s, would you tell yourself to stay on the path you were on, or might you suggest a bolder plan? What if your home could pay for your truck camping adventures? Would you go truck camping more? Would you stay out longer, or even consider going full-time? The story of Andrea Kelsey and Jeremy Lach is not what you expect. The strategies this young couple have employed to afford their free-roaming lifestyle are inspirational. The stunning places they seek out are jaw dropping. How they ended up on the road together is something even they could not have foreseen. Where it’s taken them is something you have to read. In this case, the end is just the beginning. Andrea: I was fortunate to have a father with a passion for vehicles and a mother with a passion for traveling. My family bought a 1982 Chevy Class C motorhome when I was three years old. I still remember climbing onto the brown corduroy couch and watching the great big world pass by between the dark yellow zigzag curtains. Growing up, my family took trips across the country and around New England, and many weekends we would spend at the state park just in the next town over. It wasn’t about the distance, it was about the sense of vacation and escape from every day life. For me, camping was always magical, bringing the family together, spending time outside, and enjoying the simple life. Over the years my Dad traded and upgraded multiple times, excited for the next model and new features. There was always a camper in the yard, and they just kept getting bigger and bigger. By the time I was in college there was a 40-foot diesel pusher parked on its own designated spot next to the house, complete with water, electric and sewer hookups. When I went home to visit, I didn’t even bother to stay in the house. When the ‘house on wheels’ in the driveway was bigger than my apartment, it didn’t really feel like camping anymore. It was spacious and fancy, but it is the simple camping experience that I enjoy the most. Minimal features and basic needs, feeling like we’re in nature is truly our style. That is why the truck camper is perfect. Above: Late afternoon chill spot on Harrison Lake in British Columbia. They waited for the bridge to be repaired on the only road back to town. Jeremy: I dislike campgrounds, especially paying for camping. This led me to seek out BLM land with free campsites on many past cross-country road trips. Often these places require high clearance or four-wheel drive to reach. After many undercarriage scrapes and getting stuck in the sand at least once, I realized that I needed a more capable vehicle. When it was time to buy an adventure vehicle, I looked into four-wheel drive campers but they were few and far between, and very expensive. I soon realized that I needed to get a pickup truck with four-wheel drive, and some kind of camper.